This is another article in our Smart Buyer Series. Another article in the series is Manufactured Home Warranties and How to Properly Handle Issues After the Sell. 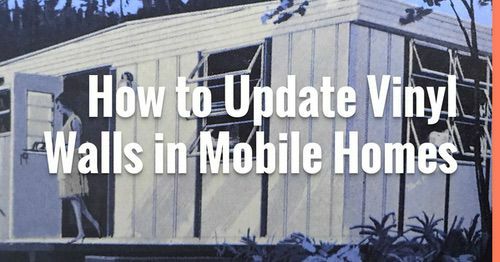 If you are going to be a future manufactured home buyer, please read both. Knowledge is power after all! You’ve heard the horror stories of a manufactured home purchase: someone buys a home and it turns out to be a living nightmare. 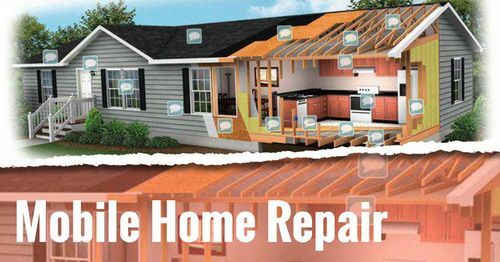 Leaks, faulty plumbing, siding or roofing issues, spotty workmanship. High-pressure sales, financing nightmares, installation errors and warranty problems….the list can go on and on. There’s plenty of examples online, all you have to do is search ‘manufactured home complaints’ and you’ll have enough reading material to keep you busy for days. Still, we need to realize that nothing is perfect. 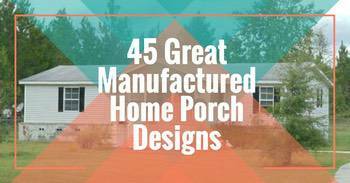 Stick-built homes have a lot of complaints, too, so don’t think it’s just manufactured homes. The home building business is difficult and there’s a lot of factors that can happen between the first nail and the last. One small, seemingly insignificant, error can lead to a multitude of issues down the road and that’s true with any building project. I will be the first to admit that there are some scammy manufacturers and dealers out there. They haven’t quite grasped the concept of customer service and would rather neglect a current customer to focus on a new sell. That’s the way the business is set up though. Salespeople are rewarded for selling and some will take whatever means necessary to get you to sign on the dotted line. Personally, I think the whole concept of salespeople being paid commissions should have left the way of the dinosaur long ago. It aligns the industry with that of the car business and we all know about the used car salesman. If they want to pretend to be real estate agents then they need to introduce a licensing program to keep the bad apples from continuing to ruin the barrel. Avoiding issues during a manufactured home purchase can be tricky. There’s a lot of details you need to know about. How do you get the best price, the best home and the best experience possible and walk away with a smile? Knowledge is the key! Doing your due diligence and researching as much as possible will reduce headaches and expensive setbacks and make the process a more rewarding one in the end. Of course, some people experience a wonderful manufactured home buying process and speak nothing but positive things about the experience. I don’t want to ruffle feathers but I’ve read the statistics and listened to many stories and some aren’t pretty. There are still good companies out there and they want to help you find your affordable dream home. 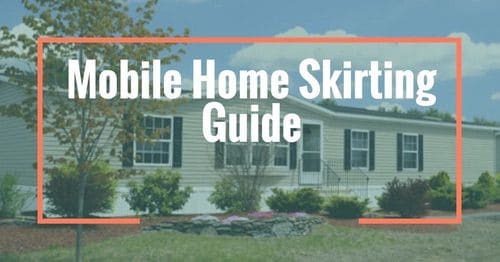 You have to depend on your research and do your homework to find them though and that’s what this article is all about: giving you a little more information about some issues that people face during a manufactured home purchase. This is probably one of the biggest issues facing anyone that is looking to buy a new manufactured home. There’s a mistrust of salesman and there’s a reason for that mistrust; we’ve all heard the stories of the lies, the misrepresentations and the bogus promises that have been made to get a sale finalized and get your signature on the contract as soon as possible. You have to buy the home that suits you, not what the salesman wants to sale you. The first rule you should abide by is to follow your gut. If the salesman is telling you that he will get fired if they don’t write up an application or talk to you in their office, leave. If they offer enticements to sign a contract, leave. Finally, if you have a nagging feeling like something isn’t right but you can’t quite put your finger on what it is, leave. It’s really that simple. A true professional will want to help you and they will understand that by helping the buyer they will be helping themselves. Dealers make a profit margin of between 18 to 26% over wholesale price, not including installation costs. You shouldn’t spend more than 28% of your gross monthly income on housing. You must factor in taxes, maintenance, and insurance. Due diligence is absolutely necessary with this part because most of the complaints and issues stem from transit errors. If you are buying a new home, the transportation and installation are usually added to the price of the home. The dealer can either own the truck and employees the team that will be moving and installing your home or they can just contract another company out. Ask for a list of current buyers, call them and ask questions about how the home was installed, set up, and connected. You should check the BBB and look online for complaints. Many times the complaints will be filed with the contracting company and not the dealership. So, make sure to check the contractor’s name as well as the dealership. If you find several complaints regarding past installations you must speak up. The dealer can’t force you to use a contractor. There’s some red tape that may be encountered with this though. Some manufacturers insist that you use their people or your warranty is voided. See? It’s a messy situation and requires a lot of research and due diligence. The installation of a home can include all or some of the site preparation, utility connections, and drainage installation. You want the best company possible to handle the home. Improper handling and setup of the home are usually found to be the cause of many issues down the road. Poorly trained or unmotivated employees can cause buckling walls, roof leaks, frame damage and faulty windows and doors. If the home isn’t leveled properly or isn’t tied down properly you could face some serious problems in the future. The installation also includes the joining of double wides which entails a whole lot of finishing touches like carpet, trim, doors, skirting and gutters. The biggest post-sale complaint on manufactured homes is cosmetic complaints. Things like sticky windows, improperly installed floor covering or trim work that looks like a 2-year-old did it. Chances are you are not going to notice all this stuff right away. I personally know a family that had issues with their double wide after they moved in. After a couple of days in the home, they started noticing little things, lots and lots of little things that needed to be fixed. The problem was that they signed a paper stating that the home was to their satisfaction. They didn’t realize what they were signing because the finishing carpenter brought the clipboard out on the last day of set up (with a promise they would be back in a week to finish that skirting) and told them they simply needed to sign to prove they had been there that day. In really small print it also stated that the home had been inspected and no issues were found. That signature ended their ability to get anyone to fix the cosmetic issues that they had. The best advice I can give you is to never sign anything on a clipboard until you read it and know exactly what you are signing! Warranty issues are where the remainder of the complaints about manufactured homes come from. There are 3 types of warranties: manufacturers written warranty, express warranty and statutory implied warranty of merchantability. A written warranty protects you against loss from “substantial defects” which is anything except cosmetic damage. There is a expiration and usually, that’s 1 year. If the salesman promised a new deck if you bought last years model then that’s an express warranty. If it persuaded you during your purchasing decision but was not fulfilled then the law was possibly violated and you may be entitled to some type of damage. Implied warranties states the home must be suited for the purpose of which it was designed for. It doesn’t protect against specific defects but it is often the best protection you have. It covers things that the express and written warranties wouldn’t. Some warranties have too much red tape and too many things that can void them. Also, some warranties only cover non-cosmetic issues but then go on to state that doors and windows are cosmetic. Some won’t cover any issues that arise from improper setup and installation but it was the dealer that had chosen or recommended the contractor that installed the home. It’s mind-boggling! Know your warranty and get the dealer to give you the best warranty possible. These 4 things are only some aspects that you have to consider when purchasing a manufactured home. If you are buying a used home then there’s a whole other set of things to research. Just a little due diligence and knowledge can make the difference between a happy experience and a bad one. 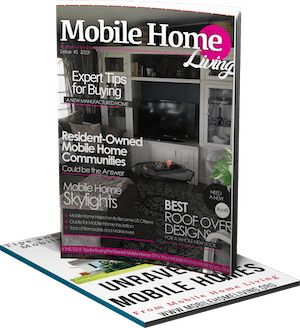 As always thank you for reading Mobile Home Living! I’m sorry to hear you’re having so much trouble! I know that manufactured homes have to meet much more stringent codes for gases than site-built homes but that’s about all I know. Could you maybe be allergic to the new material in the home (carpet, gypsum?). I’m pretty sure as long as the builder uses the state-approved materials and the off-gassing is within a set rate they won’t have to do anything. Please keep all records and write a formal complaint before your 1-year warranty is out..Best of luck! Sorry, I can’t help. I’m so sorry this has happened to your mother. Most used mobile homes are sold as-is so you likely would have a hard time getting your money back. I’ve read that in some states there is a 24-48-72 hour time frame from purchase that you can get out of a contract or transaction. Maybe look into that? I would be hesitant to accept a home that’s a year older too! Good catch! If you can. read this article: Buying a Manufactured Home: Warranties and How to Handle Issues After the Sell. The last part of it, titled What to Do If You Experience Issues has a list of all the state agencies that may be able to help you. Thank you so much for this article! We keep going back and forth on whether buying a new manufactured home is what we want to do. After seeing so many horror stories it makes me sick to my stomach with nerves. But this article is actually empowering and full of wonderful advice that makes me have confidence that as long as we ‘know what we’re doing’ going in- we won’t have many issues. That being said- I’m probably going to find a lawyer to read over everything before I sign and explain in honest simple words what all it means! That’s a smart thing to do Jessica! I’m certainly not a big fan of how manufactured home dealers have treated customers. Our only protection is knowledge! I wish I had done research before we signed the dotted line. We certainly been though hell and back with the owner/salesman of the park we are in. We did not see our home until it was here. Only pictures. We ordered things we wanted but we unaware of all the options available. So the salesman gave us the minimum of interior options. Horrible carpet, lighting, fixtures, bath tub surrounds. All horrible. Then it was placed on a lot that water drained through so we have a lake everytime it rains in our front yard. We have no recourse. We did not research. We have put all of our money into upgrading our home. Lots of time and money. Now a YEAR later, we have leveling issues. Ceiling and tile shower cracking, loud squeaking floors. I would never have done this had I known. So sorry you’ve had such an awful experience Christine. Hopefully, you can put all those terrible experiences behind you and turn it into a dream home! Thank you so much for the great tips!! I never even thought about trip insurance! It is one of the best protections you can get, especially if you live in the mountains or you’re placing a home in the woods with a newly made road (living in WV, I’ve seen some beautiful country homesteads with a double wide sitting in the middle of it and you can’t help but wonder how they got it there..lol). I’ve watched my parents go through an ordeal in the late 80’s with a new double wide. The installers just really didn’t care and slacked in every way possible so I’ve always been a bit wary of them all. Why they can’t follow the directions provided to them by the manufacturers is beyond me. Nailing the sheeting to shingles and not the frame is a clear sign that the installers and transporters don’t care or at the least, don’t know what their doing. Appreciate you taking the time to share those great tips with us! Interesting article Crystal. We’ve looked at new homes on dealer’s lots and never experienced a high pressure sell. Thanks goodness because that would turn me off big time. Hi Shirley! I think they are a lot more rare these days. Back when the industry was booming (mid-90’s) it was such a crazy time and there was a lot of money to be made on commissions and a lot of competition. Now, only a handful of companies own everything. Plus, the annual unit sales went from 300,000+ to only 50,000+ so everything has calmed down and the ones selling homes are in it for the long hall so they treat the customers right. I’ve heard some crazy stories though..lol..Hope you are doing well! Great article! Another key thing to keep in mind is the Title. 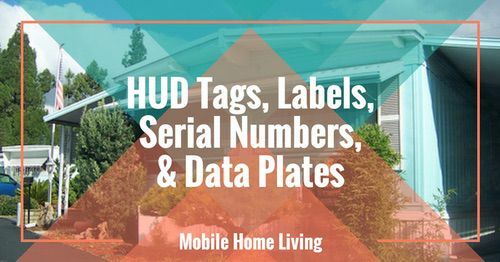 Many manufactured homes have a title. 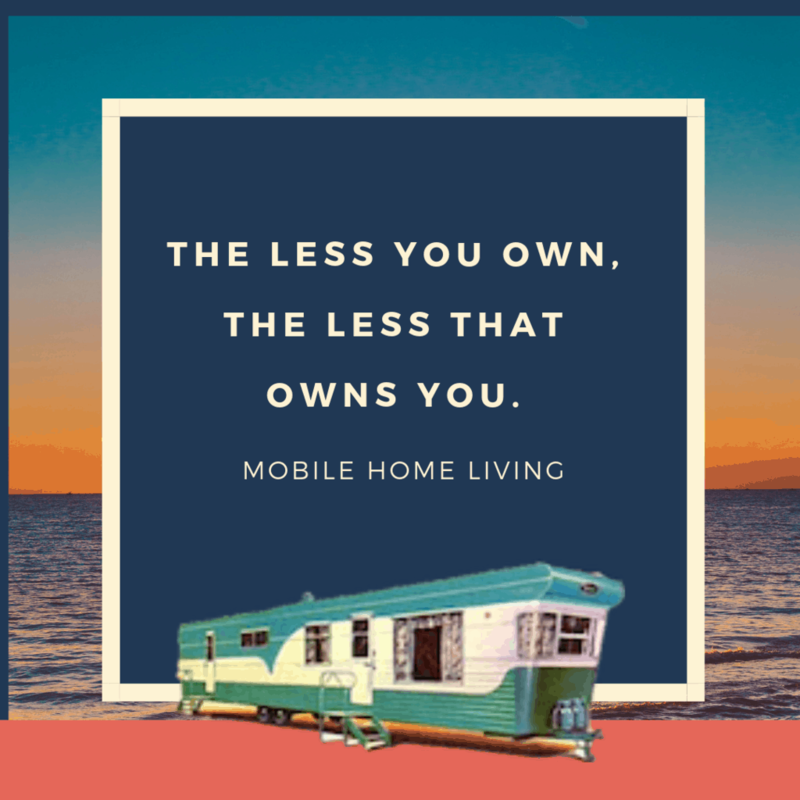 While doing a transfer of property recently, our lawyer told us he has so many mobile homes and manufactured homes that people have tossed their title or not kept track of where it is. This can be a nightmare for a buyer. Relatives of ours recently sold their home on the lake and bought a double wide. They put a bunch of money into remodeling while the FHA was doing a search on the home for the financing process. They had moved in and payed money toward the principle each month as “rent” so they could move in sooner before the mortgage went through. It took months to get a title, and once the title came through, the FHA had already grown tired of waiting. They also found in their research that the double-wide had been on another property and was moved…they were not told this and the FHA won’t touch a home that’s been moved. Ultimately, they lost $8,000 of their nest egg. BUYER BEWARE! Especially when buying a used manufactured home. Hi Bethany! Thanks for sharing and letting us know about the titles. What a horrible thing to have happen. You know, there’s so many horror stories out there that I often wonder why the industry (manufacturers, dealers, financiers, insurers, etc) can’t do better. There needs to be a streamlined protocol for the entire process so stuff like that doesn’t happen.